Tired of being "that guy/gal" at the gaming table? For a second I thought that you wrote "2500" Harlequins. I know that you manage to deal with huge numbers of models in a relatively short period of time, but that would have been a... challenge. Again: I pledge to finsh my Riptide. No pledge for me this week, but those Harlies look awesome, good to see some of the classic models. Thanks, I really like the old harlies. 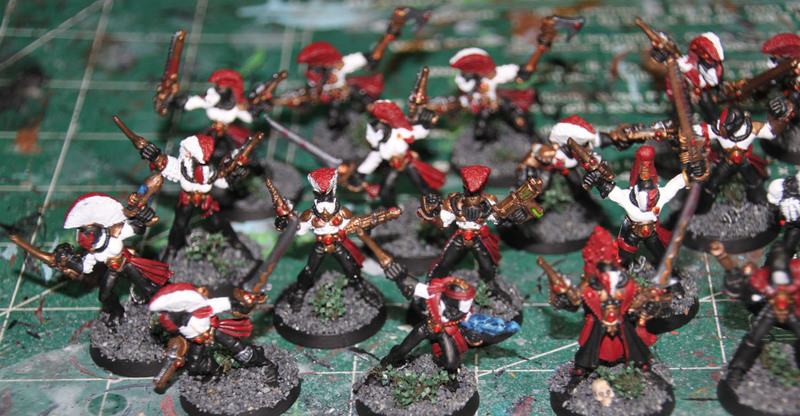 Not a fan of much else eldar or dark eldar from the period though. And again: Pledge failed. I didn't even touch the Riptide.